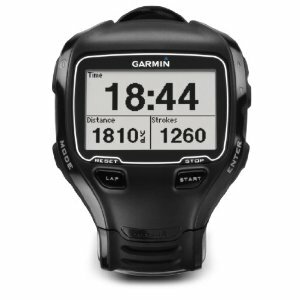 How Can You Perk Up Swim Practice With Garmin 910xt? Swimator Blog: Online swim lesson resource. 70% of our planet is water - can you swim? 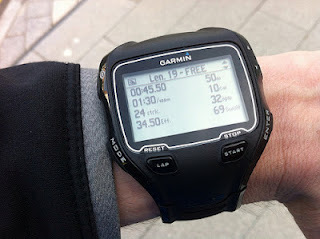 - How Can You Perk Up Swim Practice With Garmin 910xt? There comes time in everyone's swimming endeavor when you are a bit lost and not sure what to do next. Sometimes, just getting yourself some new technological gadget can help you on your way to further improvements. (note: not all gadgets are helpful though, so beware). There are many statistics that you can track and attempt to improve upon. Some of them include stroke rate, stroke length, tempo etc. Kathrine, an avid user of Garmin 910xt watch computer will tell us more about how it can be used in swimming to help improve your stroke. Ever since I was six years old, my father took me with him each afternoon to the nearby swimming pool. And as I grew, so did my fondness for swimming. When I turned 20, I got a sports gadget as a Christmas Gift from my cousin, and here I would like to share my experience and add to your knowledge of how it can make you more productive at your swim routine. Garmin 910xt is a Sports Watch that is specifically made for people who love swimming and want to channelize their exercises in different sports domains. For years, it has helped me boost performance at swimming competitions and practice sessions. Precise measurement for attributes like swim stroke recognition, distance, pool lengths and stroke count matter a lot when you want to improve each day. Beside these, data unit can also compute pace, distance, heart rate and elevation. Swolf (swim golf) score is calculated based on number of strokes taken per lap and the time it takes me to complete a lap. With these parameters on display I can easily analyze my swimming training efficiency. We are a product of tech generation and we yearn for connectivity in everything. Through real time satellite connectivity, I transfer my swim data to my personal computer and analyze it later to set more targeted and realistic goals, usually when at night, for me. Though I don’t use it, but USB transfer of data is also supported to upload and download user statistics. I am not really fond of this next feature, but you can use Garmin Connect TM to develop swim plans, upload performance data, analyze it, ask for expert opinion, interact with other users, customize settings and much more. Performance can be viewed in tabular format and comparison can be made with previous swim laps, and also have the option to view it in graphical form by plotting related attributes against one another. The Garmin 910xt claims a battery life of up to 20 hours, but honestly, I usually forget to switch it off and end up having a quite lesser battery life. What I absolutely love about Garmin 910xt is that I can switch between sports modes (with separate settings for each) with a single button touch. Usability of the device for me would have been reduced a great deal if it was only useful for swimming. With customizable data fields I can personalize training pages for swimming and other sports activities (but that only happens on weekends for me). There is no other device that combines so many attributes for swimmers, and let them have greater command over their fitness and health stats. It was quite later in years, when I paired accelerometers with it to count swim strokes. Although the watch is water resistant up to 50 m (164 ft), there is another side of the story. It will not be able to measure your heart rate while it is submerged in water. Comfort counts a lot (at least for me) and thanks to heavens; it has a smooth profile and a comfortable wristband. Depending on my mood or that day's training need, I adjust it easily for open water and pool setting. Then if I opt for open water, Garmin 910xt produces average stroke distance over a swim or between splits; and in case of pool it divides distance-per-stroke to individual lap and thus generates an ideal measure for pacing. You can pick from two models, one is the watch only version while the other comes paired with a heart rate monitor; currently I am still using the watch one, but would love to use the HRM one sometime too. There are so many ways in which you can boost your performance in multiple domains like me. Have a happy swim! This is a guest post by Kathrine Switzer (@KathrineSwitzer) a professional cyclist who in her spare time follows her passion and contributes to numerous health and fitness blogs with her fitness watch insights. What a great device. So not only do Garmin make GPS systems but now swimming gear. If the gear is from Garmin then you know its gear you can trust. @Des and Jo: thanks for the tip :). Will definitely give it a whirl. @myoswimwear: yeah, Garmin is a good quality brand for sure.